For years people have been finding new and innovative ways to create masterful works of art. Donatello used marble and bronze to sculpt impeccable sculptures of biblical characters during the 1400s – fast forward over 600 years and Donald Tran is sculpting mind blowing pop culture characters out of, what else? BALLOONS! Though inflatable rubber toys may seem like an unlikely medium, Tran is redefining the way people think of balloon-based art, one creative twist at a time. We recently floated over to Tran’s workshop to talk magic, Marvel-elous characters, and the super-related power that artwork can have on its audience. TrunkSpace: Through the wonders of social media, we stumbled upon your Instagram and we were completely blown away by what we saw! It appears you are redefining balloon art and what is really possible in the medium. 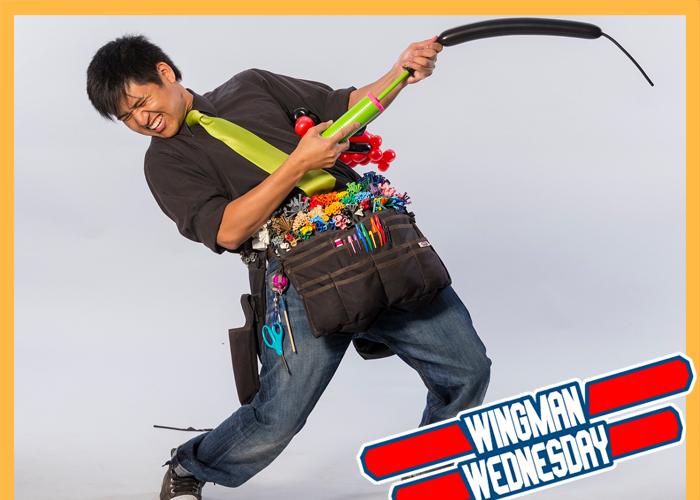 You’re not just making a balloon sword, you’re creating complete works of art. 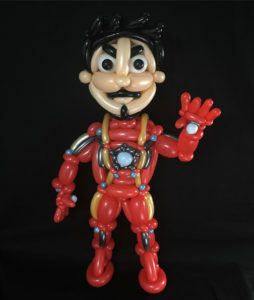 How did you find yourself drawn to balloon sculpting and how many years has it taken you to get to the level you’re at? Tran: I started twisting balloons around 12 to 13 years ago. I bumped into a magician at a street festival giving away balloon swords and flowers, and it immediately caught my attention. I became good friends with him, and we’re still pretty close today. (Shout out to Alfonso!) I was a naïve and arrogant magician when we met, but he took me under his wing and even gave me my first real bag of twisting balloons. In other words, he gave me high quality balloons that didn’t pop easily like the ones you’d find at a dollar store. The good balloons kept me motivated and it allowed me to create more intricate sculptures without them bursting as often. I played with LEGO bricks a lot growing up, and balloon twisting gave me the chance to practice my creativity again. The progress was slow, but I would continue to make smaller things for several years. It wasn’t until around 2013 or 2014 that I got much better at balloon twisting, and I can thank my fellow balloon artist friends for that. When I eventually met and befriended other twisters, they were showing me designs, techniques, and other things with balloons that I didn’t even know existed. Seeing what others were making inspired me to learn even more. TrunkSpace: We also saw on your Facebook page that you’re not only a master balloon artist, but you’re also working on becoming a master magician. Do you combine the balloon art and magic together? It certainly seems like you would have to be a magician to craft some of the sculptures that you do! TrunkSpace: What is it that drives you to entertain and delight others through your work? Do you find magic or balloons to be more rewarding? 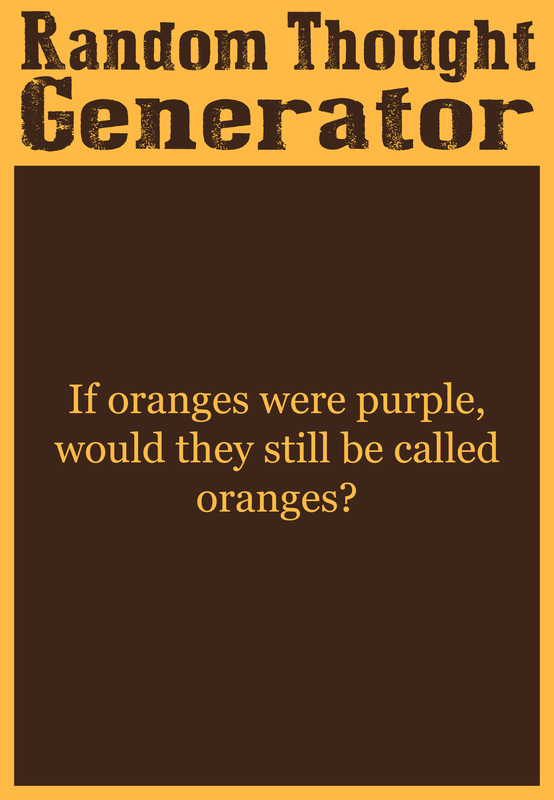 Or do you get the same sort of satisfaction from both? Tran: Magic and balloon twisting are both very rewarding, but in different ways. When I saw my first magic trick as a kid, I was filled with delight, doubt, and wonder all at the same time. I don’t think there are many art forms out there that can make a person feel that way all at once. That indescribable and innocent childhood-like feeling people get when they see a good trick is why I love magic, and it’s that feeling that I hope to instill in others every time I perform. 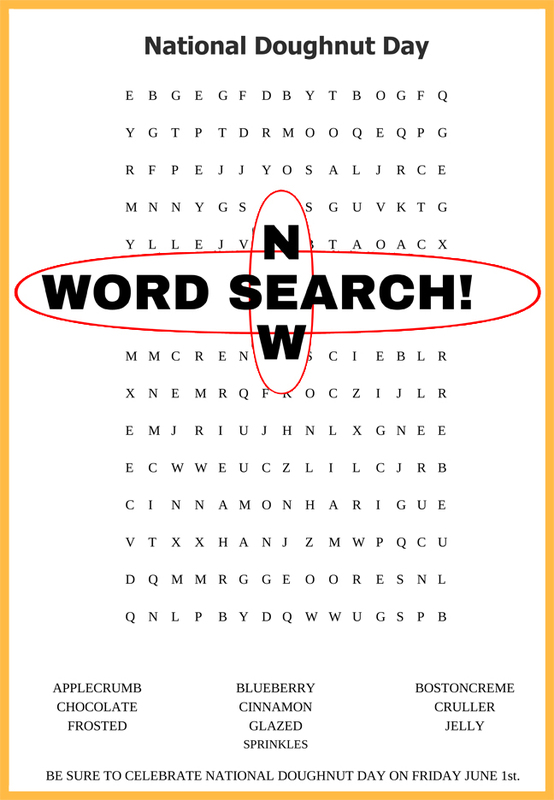 Nowadays you can find the answers to almost anything at the push of a button. In a world where mystery has become increasingly rare, it’s really rewarding when I perform magic and can get people to question what they just experienced. Magic is also really universal in that it doesn’t matter the age, the ethnicity, the gender, or even if the same language is spoken. It has a way of uniting people to see something wonderful together. It’s satisfying knowing that I can do that with just a bit of sleight of hand. Bringing people together is the real magic for me. Balloon art allows me to express myself in ways I normally can’t with words. On top of that, it keeps the creative juices flowing because there’s so much I still want to make. Another thing that makes balloon twisting so gratifying is the responses I get from people that appreciate the work. I’m thankful that adults can find beauty and joy in balloon art, but it’s the responses that I’ll get from kids that gives me the fuzzies. Seeing their faces glow after I give them something that I crafted makes me really happy. I’ll sometimes run into the same kids at different parties and they’ll tell me all about how they still have their shriveled up balloon months later. TrunkSpace: Do you have a favorite subject matter to build in balloons? We were geeking out over your “Ash Vs. Dead” and “Little Shop of Horrors” creations. Are you a fellow geek at heart? 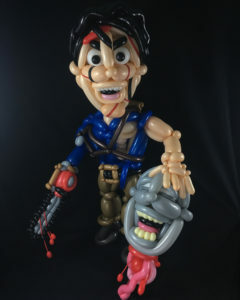 Tran: Glad you enjoyed the “Ash vs Evil Dead” balloons! I’m a big fan of the series and with horror in general, especially with old school slasher films. I have to admit though, I haven’t seen every single scary movie out there, but there’s something so interesting about the genre that makes me always come back to it when I’m thinking of new stuff to make. Ghost, goblins and other movie monsters all look so interesting, unique, and grotesque. That makes them the most challenging but also the most fun to build. I love and will never stop making balloon cartoon characters, princesses, and other cute animals, but people have seen all of that already. It’s not often that they’ll see a bloody headless zombie (*ahem* pardon me, “deadite”) or creatures with razor sharp teeth made up of squishy colorful balloons. When I’m not making frightening things, I enjoy making sci-fi characters or superheroes especially from Marvel comics. 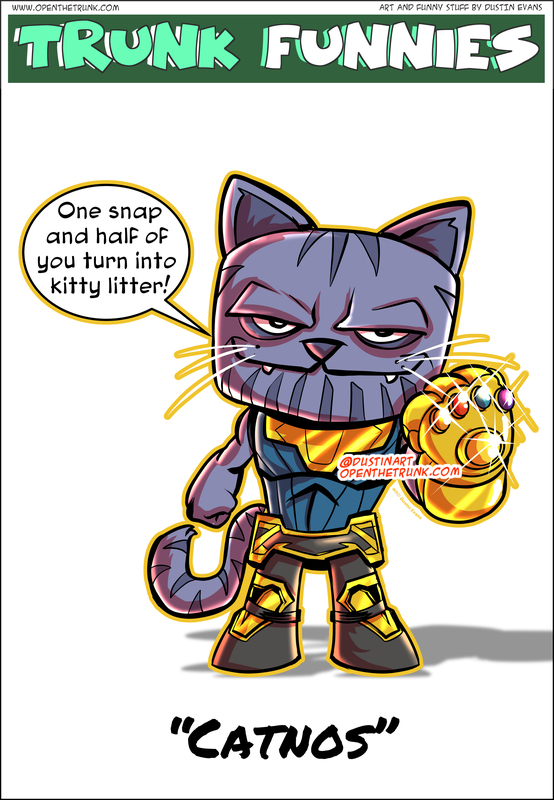 Actually, I’m currently working on as many Marvel characters as I can right now in order to celebrate the release of the upcoming Infinity War movie. TrunkSpace: You attended the World Balloon Convention this year. For those of us that didn’t know there was such an event, what was that experience like? What does one expect to see at a convention for balloons? Tran: That was like less than two weeks ago! Would you believe that it was my first balloon convention? It was everything I was hoping it would be, and more. I follow many balloon twisters on Instagram, so it was really fun getting to meet some of them for the first time. 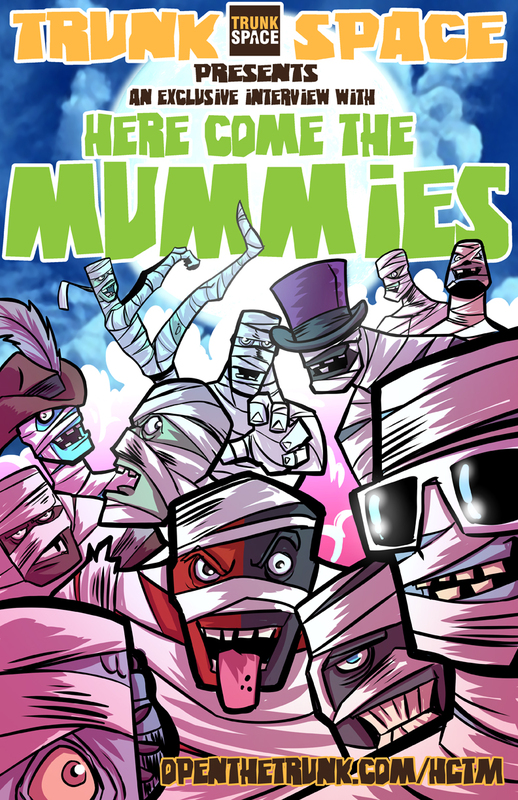 I must admit though, I felt like an amateur twister all over again after marveling at the stuff these guys were creating. People from all over the world attended, and they all take their crafts very seriously. There was a competition in different categories held at the convention, and every balloon submitted was breathtaking. From larger than life sculptures to smaller tabletop bouquets, there was a contest for everything. One of my favorite categories was the fashion/costume contest. There was this beautiful and WEARABLE blue gown made entirely out of balloons, and it was definitely one of my favorites. I was fortunate enough to speak to the artist that made it, and apparently it took her four days to complete it! And yet here I am complaining about spending just a few hours on a project. 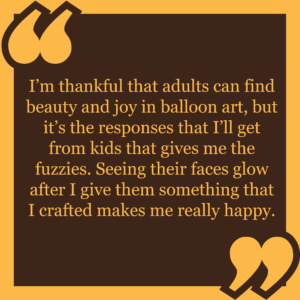 TrunkSpace: Is the balloon art community a tight-knit group? Do you all get inspired by one another’s creations and push each other to see how far you can go with the craft? Tran: Yeah, it’s a pretty tight-knit community. People are always coming up with new and innovative ideas though, which can make it pretty competitive at times. We all want to be credited for coming out with the next big thing, and so for that reason, we might keep a method or two to ourselves. I do share, but I’d be lying if I said I don’t hold back on a few tricks of the trade. The truth, though, is I would love nothing more than to see this art form flourish. Having said that though, I think spoon feeding every idea and technique we have to one another will discourage people from experimenting with their own creativity. In my eyes, there isn’t really a “right” or “wrong” way of making balloons, but people may begin to think so if all they’ve ever done is recreate other balloon twister’s work move for move. It’s better to teach maybe a few basic shapes, and then let them take what they’ve learned and go in their own direction with it. That’s certainly how I got better. No one taught me how to make many of the characters I’ve crafted, but they did teach me a few fundamental moves to help me get there. TrunkSpace: Twisting all of those balloons together and getting to where you’re at, creatively, you must have had a few balloons pop in the process of learning your craft. Are you ever nervous you’ll get to that final balloon of a masterpiece and they will all explode? Tran: A few balloons popping? More like a few hundred. The sound of them exploding doesn’t startle me as much anymore. But yeah, I’m never nervous about a limb or piece accidentally blowing up when I’m done because it can easily be fixed. The biggest challenge actually is that each sculpture is a race against the clock. As you may know, balloons don’t have a very long shelf life once they’re inflated. Unlike an artist that might paint on a canvas, I can’t put aside my work and get back to it days later. I’ll spend hours nonstop working on a project. In fact no matter how exhausted I get, I’ll get so paranoid sometimes that I won’t even take a break because all I want to do is make sure that the completed sculpture is as fresh as possible. Even when I’m finally finished with something, they’re usually gone in just a few days. Whenever I’m working on a balloon just for fun, (usually a superhero or movie character of some sort) I’ll drop them off at my local comic book shop to be put on display. I figured, hey it’s going to shrivel eventually anyways, so better to showcase it somewhere to people who might appreciate it instead of keeping it locked away in my room. Sadly, other than taking photos of them, I can’t do much else to preserve my work. If I can find the silver lining in all of this though, it’s that balloons really teach people to appreciate what they have while it’s still around. TrunkSpace: Where do you see yourself in 10 years? Where do you think your magic and balloon art will take you and what do you hope to accomplish? Tran: The future is a mystery to me. I have goals in mind, but life is unpredictable. If you told me several years ago that I’d be performing at birthday parties or teaching magic and balloon twisting to kids at a school one day, I wouldn’t have believed you, and yet here I am. I’ll tell you this though; I do hope to showcase a very different side of my balloons at an art gallery one day. I want to change the way people see balloons. Think about this for a moment; at little Jimmy’s birthday party, there are decorations, cake, and what else? Balloons. Is someone graduating? Let’s celebrate by bringing balloons. Perhaps someone you know isn’t feeling well, so what do you do? You get them a get well card, and of course, a handful of balloons. Even in the world of balloon twisting; life size sculptures, cool superheroes and costumes… people are captivated by what twisters are making and they’re beginning to see its potential now, but that kind of sums up what every twister is doing. What do all of these balloons and scenarios have in common? They are generally tied to positive emotions and experiences. Balloon art, like any other forms of art, should be able to trigger people in more ways than one. Sure I’ve delighted some people and maybe woo’ed a few others, but I want to do more than just that. When I’m not assembling characters, I’m making sculptures that I hope will set off other emotions like hurt, anger, disgust, sadness, jealously, etc. I once had a lady get teary eyed after showing her a balloon that I made, and I inadvertently almost made someone puke once after I unveiled something else that I created (although that’s a very unusual and extreme example).Call me insane, but I believe that if I focus more on stuff like this, then I’ll be one step closer to getting people to look beyond the balloon dog and sword. 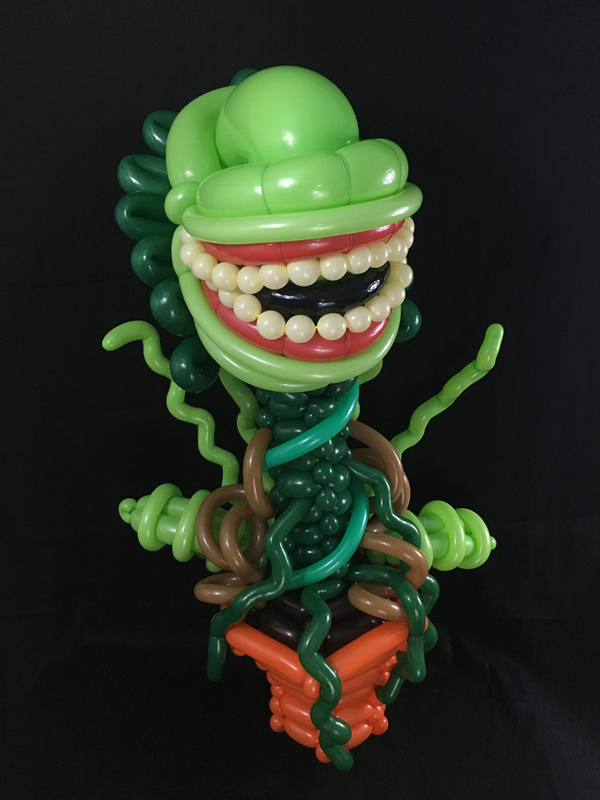 More than anything, I want to convince people that balloon sculpting is just as acceptable as any other form of art. I want to surprise people by taking what is widely known as a children’s play thing and create something with it that will move people in ways that they never thought balloons could. TrunkSpace: For those who want to get in touch with you regarding your magic and/or balloon art, how can they go about reaching you and what venues are best? Tran: If you’d like to book me for your next event, or if you simply just want to see more of my work, you can find me on Facebook here or on Instagram here. 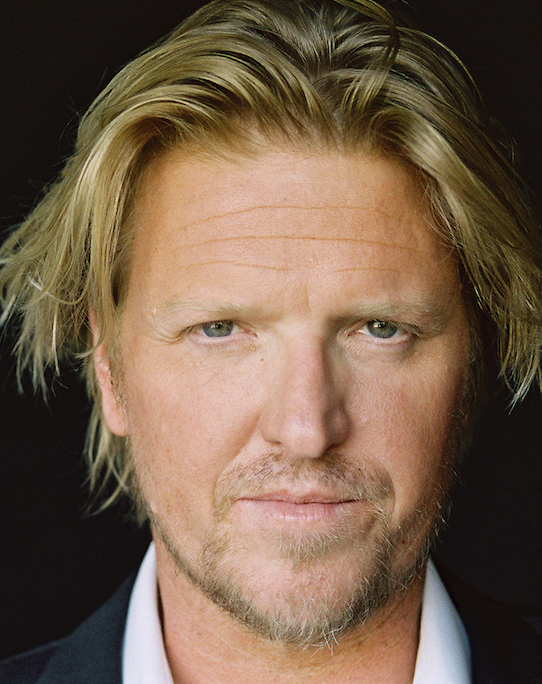 Busey can currently be seen in Showtime’s “Ray Donovan” and in the new horror/comedy hybrid “Dead Ant.” Season 2 of his Hulu series “Freakish” kicked off this week as well, and for those who love a vintage franchise reborn, he will be starring in Shane Black’s “The Predator,” due next summer. We recently sat down with Busey to discuss his definition of “favorite movie,” how he refuels the mental tank, and why he’s had to be a salmon who swims extremely hard upstream. 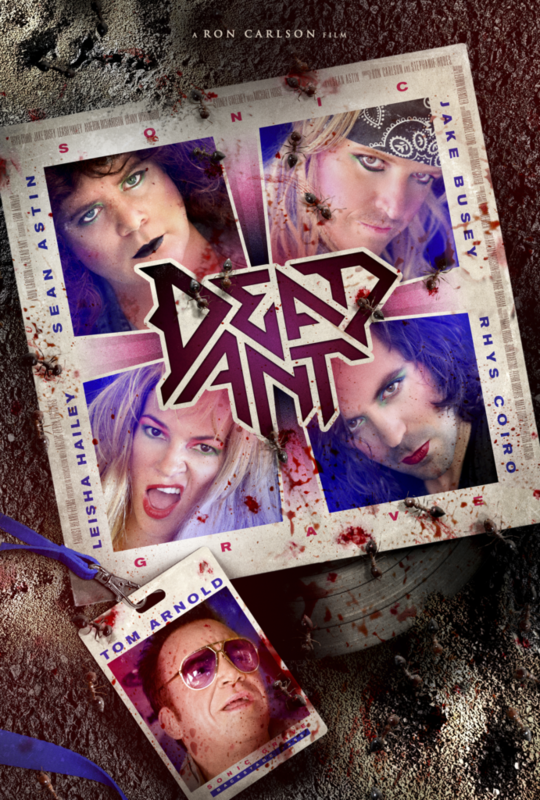 TrunkSpace: We spoke with your “Dead Ant” director Ron Carlson recently. We have to say, that sure looked like a fun character to play. Busey: “Dead Ant” was a hoot. We really had a good time. We really enjoyed filming that. It was quite the bonding experience for the whole gang. TrunkSpace: An end user, the viewer, sees a film and that’s what they remember, but for actors, the experience is probably where you draw your memories from, right? 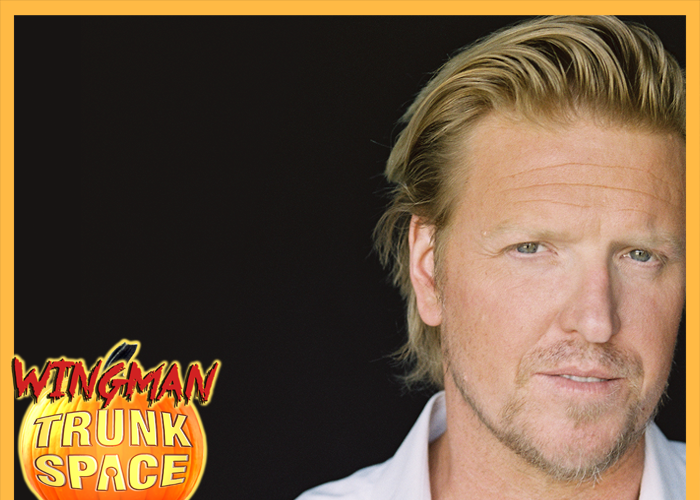 Busey: That’s very true. In fact, I wrestled with that for many years. I would have fans ask me what my favorite movie that I did was, and so I would think about trips that my wife and I took in New Zealand – my girlfriend at the time. We spent two weeks traveling in New Zealand while I was doing “The Frighteners,” then we went to Fiji for another 10 days about a month later. And then of course, the culture and the people – and so I think about “The Frighteners” in a very good way. Then I think about “Twister,” when she got in her Jeep and drove all the way from LA because we didn’t have money for a plane ticket, or a rental car in Oklahoma, so she drove her Jeep out during “Twister.” Then when I booked “Starship Troopers” and bought a brand new Dodge truck, she drove that out from LA to Wyoming for the whole filming. And then I put her in the film – she was a stand-in for Denise Richards. That was a real bonding experience for all the people there, and to have my girl with me was fantastic. And for about 15 years, I was always answering people in regards to my experience of making the film. Then one day it hit me, “Oh no, they’re wanting to know what my favorite film that I did was on the screen, because that’s what they’re awareness is.” It was a big moment of revelation for me. TrunkSpace: When looking over your filmography, which is filled with project after project, we’re struck with just how consistent it is. Are you someone who loves the work, loves to work, or a combination of both? Busey: I think you have me at a loss there, because I don’t know the difference between loving the work and loving to work. I mean, I don’t know the difference in distinction. For me, I love being on a film set, that’s my favorite thing. That’s where I feel most comfortable and if there was ever a place where I didn’t feel like I needed to be somewhere else, it was a film set. Sometimes you’ll be somewhere and you’ll get that feeling of some sort of sixth sense where something kicks into your brain and you go, “I feel like there’s something else I should be doing,” and then you wind up calling your loved ones or whatever, and as it turns out a friend of yours was in a car crash. Nine times out of ten, it’s just you sort of having a nagging feeling like, “I’d rather be somewhere else.” Besides from my kids, when I’m on a film set, the point is, I never have the thought, “Oh, I should be somewhere else.” I just feel completely at home. TrunkSpace: With that said, do you feel like it’s important to refuel the mental tank between characters? Busey: Absolutely. One of my very favorite quotes in the world was by a guy that you would never guess, from the 1960s, and he had a quote that was basically, “It’s an actor’s duty to seek out more of life than life puts at his feet.” And you have to experience a lot of things in your life, because in order to portray different characters, you need to have a wealth of experiences to draw from. Somebody who is a sheltered homebody would not make a good actor because they don’t have anything to draw from except for their own small little world. My mind just never stops, and I never stop moving. I’ve been told it’s because I’m a Gemini, I’ve been told a variety of things, but I’m always creating something. I’m always thinking about something. I started a motorized bicycle building company. I am a pilot. I’ve now dove head first back into something I was very involved in when I was in my late teens and early 20s, which is desert racing. In fact, I’ll be racing the Baja 1000 this year, which is November 19. So I’m always busy, I’m always thinking, and I’m always auditioning for more films. And by virtue of that, I’m always acting. TrunkSpace: Outside of film, you’ve also been working in quite a bit of great television, from “Ray Donovan” to “Freakish,” which just kicked off season 2 on Hulu. From a character driven content standpoint, how much has TV changed from when you started your career, and is it creatively more appealing to you now than it was then? Busey: You know, there’s a lot more available now than when I started. Interestingly enough, when I was beginning, when I was coming up, and also when I was a child – I spent the 70s and the 80s on film sets with my dad. As a film actor, that was De Niro, that was Jon Voight, that was Al Pacino, that was… I don’t know, I could go on. Clint Eastwood. The list goes on and on. But TV, you didn’t want to be Ted Danson, and quite frankly at the time, neither did he. And you didn’t want to be Tom Selleck. He was so pissed off that CBS wouldn’t let him out of his contract to go do Indiana Jones, and Harrison Ford got the role, and he couldn’t do it. Back then TV was subpar – the craft of it. Film was considered artistic and television was considered second rate. If you did TV it was just a career suicide. You wouldn’t get let back into the world of great filmmaking, with Scorsese or something. And now, everybody has a home theater system, and the internet has turned streaming into a possibility, and everything is all based on home viewing, and laptops, and we’ve got a lot of content now – you don’t even say film anymore, because it’s just considered content. It’s all shot for a tiny screen, for being on the telephone. Nowadays, there’s only two kinds of films. There’s 100 million dollar spandex movies, and then there’s the tiny, tiny low budget independent films that may or may not get distribution. Film has kind of become a little bit of a wasteland for actors. TrunkSpace: In a way, the two mediums have kind of flip-flopped. Busey: Yeah. If you’re doing movies now, unless you’re one of those top 20 people that are in those spandex movies, you’re like slumming it really. 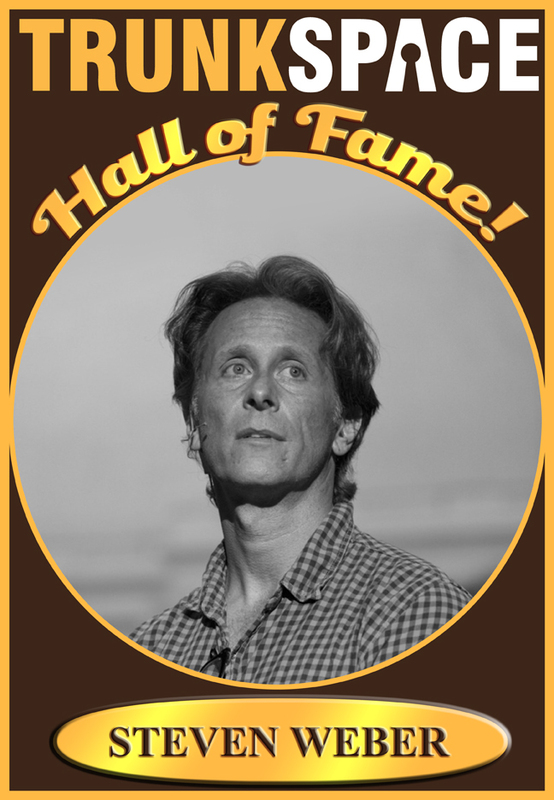 No one will outwardly admit it, but if you take a meeting with somebody – a new agent, or a new manager or PR person – and you’re like, “Yeah, I’m doing a lot of independent films,” one might assume that means you’re working and that’s a good thing, but really what the other people are hearing is, “Oh, he’s slumming it in independent film land.” So yeah, you’re exactly right. You said it the best. It really has flip-flopped. Look you’ve got Meryl Streep doing television. 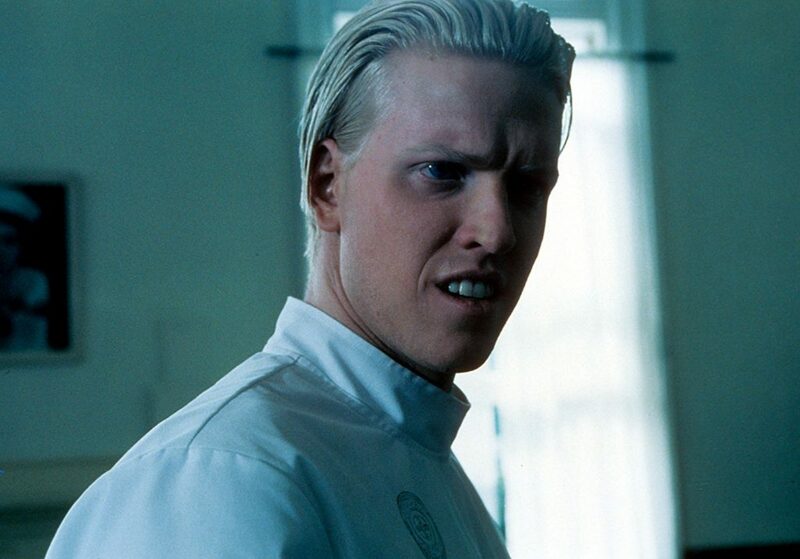 Busey: I mean, it’s crazy. The world has really changed. I’ll tell you what, I’ve got a lot of friends who are actors that are my age and we share in a unique thing about being Generation X-ers. There wasn’t as many of us, so we were never the popular majority. So I’ve got a lot friends, including myself, that never quite made it over the top of that multiple million dollar spandex movie for their characters, and you’re kind of caught in this lurch, by virtue. When I was starting out in my early 20s, I couldn’t get hired. Everybody that was being hired was in the previous generation. They were all like 30 years old. It was Charlie Sheen, and Kiefer Sutherland, and Christian Slater, and those guys who were working. I was a youngster and couldn’t get hired, and then when I was in my mid 20s I really started working a lot. But then, by the time I hit my late 20s and early 30s, then all the young 20-somethings, and I guess the early Millennials – the earliest of the Millennials – took over. Ryan Phillippe, and Timberlake, and all these guys came up. So, caught in a generational sort of wasteland has been an interesting way to forge a career. 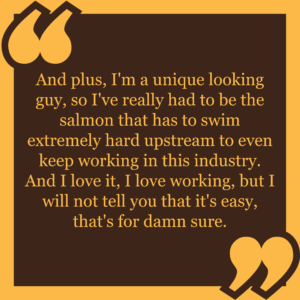 And plus, I’m a unique looking guy, so I’ve really had to be the salmon that has to swim extremely hard upstream to even keep working in this industry. And I love it, I love working, but I will not tell you that it’s easy, that’s for damn sure. TrunkSpace: You mentioned “The Frighteners” earlier. We were all chatting about that film internally here, it being October and all, and the consensus was that it is an extremely underrated film. Had that been released today, particularly with the way that tastes have changed and the horror/comedy hybrid film genre is more accepted, it might have had a completely different lease on pop culture life. Busey: Oh true, yeah. This movie “Dead Ant” that I did, it is wholeheartedly what “The Frighteners” was going for back in the day. It is comedy and horror combined, but I remember at the time, I got a lot of criticism because critics didn’t know how to interpret watching a film that had comedy and horror. It was like, taboo. TrunkSpace: And when it opened, it was up against “The Nutty Professor,” so you’re automatically losing half of your comedy-loving audience to that film. Busey: Yeah, exactly. And how do you market that? But I think today’s audiences, I think with the internet and everyone being so involved and connected on the World Wide Web that we’ve got going, I really do think that people are certainly not as close-minded and a lot more accepting of multiple genres mixed together. Because quite frankly, when you sit down and you get on YouTube, and start bouncing around, there’s a million different things going on within five minutes. TrunkSpace: And at the end of the day, life is all things. Life is not one genre. Busey: Certainly true. And that was one of the things that I was bummed out about when “The Frighteners” didn’t do so well. It was panned by the critics for being funny in the beginning, and scary at the end. It’s like, this is a good film – its own unique entity. “Freakish” season 2 is available now on Hulu. “Ray Donovan” airs Sundays on Showtime.